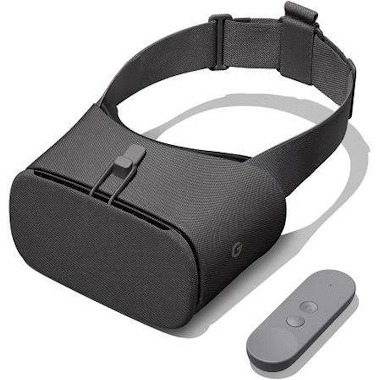 In a recent meeting with one of the owners of the caregiving agency where I’m helping design their Virtual Reality services for the elderly, we compared, side by side, his Oculus Go headset with my Google Daydream headset. Here is what we found from the perspective of serving the elderly. Google Daydream requires use of a phone. For an agency that uses multiple headsets to serve more than one person at a time, purchasing a phone for each headset is an extra expense. The quality of the screen and storage size are therefore important to consider when buying phones. Cellular service is not needed as long as the phones always have WiFi available, but with cellular service it can be run despite a bad or absent WiFi. Oculus Go has what is basically a built-in phone, which accounts for why it’s more expensive to purchase than the Daydream. It requires a good WiFi connection all the time. 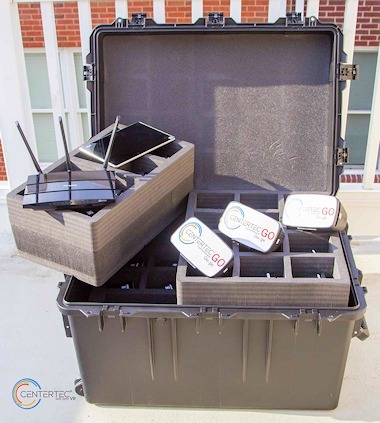 Assisted Living Facilities won’t always have good WiFi speed and connectivity at the location of the VR event. The view inside Oculus Go between the running of apps is grey. In the Daydream it’s black. Not a major issue, but a darker (black) view seems more immersive. And the grey view might be less frightening to dementia patients. There is light-leak through the Oculus Go nose area, and zero light leak with the Daydream. Zero light leak gives a more immersive experience, but for some elderly, the light leak could give them a reassuring reminder of their true surroundings. Headstraps on the Oculus Go are much securer, staying correctly adjusted due to the use of Velcro. The Daydream’s headstraps slip easily; we should add Velcro to stop the slippage. Daydream has a much more comfortable cushion against the face. The fit is great whether or not the user wears glasses. 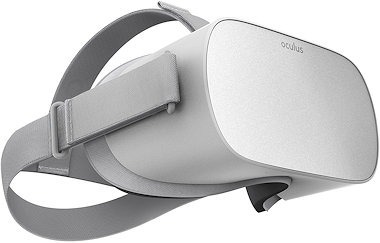 The Oculus Go doesn’t work with eyeglasses unless the adapter, which is provided, is pressed onto the cushion. The adapter is plastic and feels very uncomfortable on the face. The shape of the controller for the Oculus Go is better for arthritic hands. This is a moot point when the apps are controlled by the VR Activities Director. 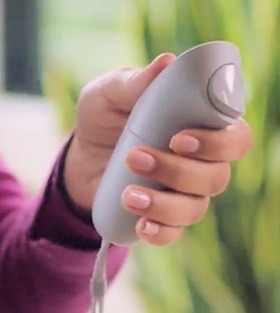 Daydream’s controller is not hard for arthritic hands to use; it’s just not as good. The battery of Oculus Go wears down very fast. After turning off the headset, moving it triggers it to turn back on. To keep it turned off, long-press the power button. The battery of Daydream depends on the phone. Google’s Streetview VR app and Google Earth are crucial for taking the elderly back to their home town and other places of fond memory. This is completely unavailable in Oculus Go, these apps by their competitor cannot be found. If the VR director is not using a tablet that’s been programmed to see what the headset user is seeing, he/she cannot assist except by using Google’s Chromecast app, which is not available in the Oculus. At this time, Oculus music concerts to attend in VR are all geared for younger audiences. Daydream has a few but not many classical concerts. Both headsets can access classical concerts via YouTube. This entry was posted in Exploring VR on June 15, 2018 by Terry Modica.